In the face of global climate change, two essential tasks are to gain awareness of our dilemma and find the motivation to address it . Two recent movies highlight the forces and practices that are destabilizing our climate, and revealing people of courageous heart who are making it the business of their lives to fight to ensure the continuation of life on this planet. One is a documentary, the other a wonderful feature film. Paris to Pittsburgh, a National Geographic documentary, starts with a quick series of photos and news reports starting in 1970 that warn of the impending dangers of climate change. As the decades pass, the warnings get increasingly dire, while global temperatures rise. The first few minutes of the film make evident the urgent importance of the global community working together to curb greenhouse gas emissions. However, attempts to come to a workable international agreement to keep the temperature rise below 2 degrees centigrade fail, until finally the Paris Climate Accord is signed in 2015. The film moves back and forth between dire and hopeful news. The hope engendered by the fragile agreement signed in Paris is quickly followed by footage of President Donald Trump making an announcement outside the White House that he is withdrawing the United States from the Paris Climate Accord. 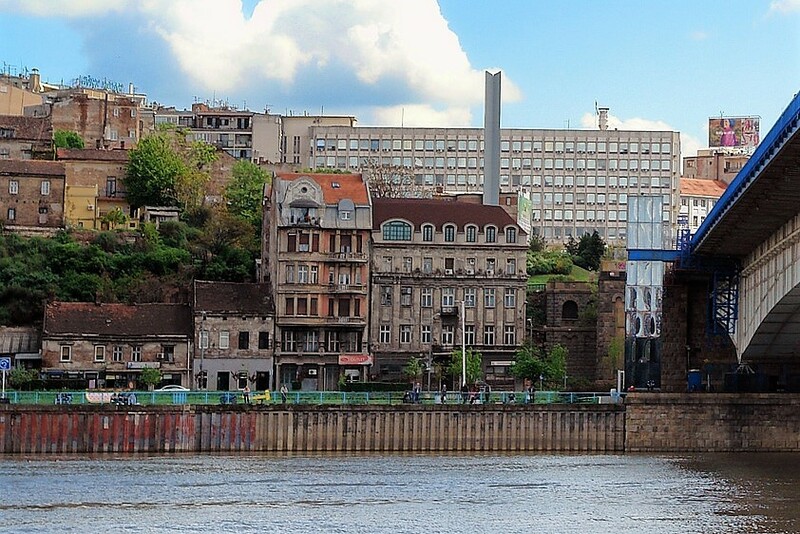 “I was elected to represent the citizens of Pittsburgh, not Paris,” he says. Next we see the mayor of Pittsburgh reacting passionately. Pittsburgh made its fortune burning coal and forging steel, but after that industry collapsed, the city began forging a new identity and honing technological skills needed in our time. The mayor explains that Pittsburgh is now a place of vibrant innovation, and it is committed to moving toward sustainability and living within the provisions of the Paris Climate Accord. Some of the bad news documented in the film is worse than I had known. Changes in global temperatures and the rise of sea levels are already causing terrible impacts. The problem is global, but the documentary focuses on the United States. For example, streets in Miami are flooding regularly and beaches are losing ground as sea levels rise. The increasing flooding of coastal regions is not the biggest threat to Florida, however. Seawater contamination of fresh water sources of drinking will make many parts of it uninhabitable sooner than most people want to acknowledge. The city of Orlando, however, is looking squarely into the future, moving toward sustainable energy practices and considering how to respond to what will become a growing tide of climate refugees from southern Florida. The devastation of Puerto Rico after Hurricane Maria has already flooded Orlando with a large influx of refugees. Many other cities, like Pittsburgh and Orlando, are moving toward sustainability. The filmmakers show us a village in Puerto Rico that solarized its energy supply and now teaches others how to do the same. In Iowa, a man’s home was twice inundated by massive floods that were labeled “once-in-a lifetime”. The film also shows how communities of Iowa farmers are discovering that solar power is the better way to obtain the energy needed to run their businesses. In California, we see brief footage of terrible forest fires, made more devastating by climate changes. 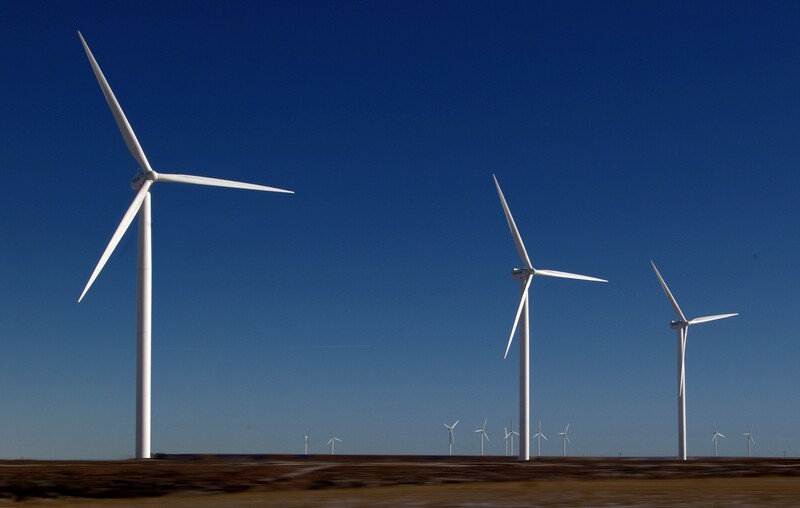 Then the filmmakers show how that state and many cities are committed to reduce carbon emissions, using solar and wind energy that is increasingly competitive with burning fossil fuels. Young people are interviewed who are taking jobs in renewable energy and who know that the future lies in solar and wind power. Yet fossil fuel companies and the politicians they support are still denying that climate change is caused by greenhouse gas emissions and they are continuing to throw dangerous carbon and methane into the atmosphere. Temperatures get hotter, glaciers melt, the sea rises, forest fires rage, hurricanes carry more water, and Midwestern farmland is deluged. The documentary shows the necessity to change our lifestyle in significant ways, very quickly. It leaves us hopeful, however, that this is possible, with awareness, motivation, and innovation. Woman at War, a wonderful film from Iceland, tells the story of a 50-year old choir director named Hella, a single woman who has taken on a mission: she wants to keep big business from ruining the land and the climate. We learn from the nightly news that Iceland is conducting talks with China, which wants to bring bigger industry into the country. However. Hella wants to convince the Chinese that the power grid is not stable enough to warrant their investment. She’s strong and healthy. W watch her running across the tundra, then pulling a bow and arrow from her backpack. She attaches a metal cord to her bow and sends it flying over some enormous power lines, causing huge sparks and an electrical short. When the film begins, Hella has only one confidant, a government official who clandestinely supports her. When they converse, they put their cell phones in a freezer, to prevent electronic eavesdropping. Her friend advises her that it is time to put out a public statement about why she is doing what she is doing. Hella devises a clever means of distributing a flyer across the city, a manifesto signed by “Mountain Woman” that people photograph with their phones and send across the internet. She hopes by her actions to raise the issue of climate change and the need to change. But the government puts a spin the story, refusing to focus on the most crucial issue of our time; instead focusing on the violent “terrorist” who keeps causing shortages on the power lines. Hella knows that a bigger and more dangerous action is required now. The government, on its side, has accepted help offered by the United States and Israel. Now drones, helicopters, infrared censors, and more will be used to track down Mountain Woman. While Hella is running from her pursuers, a three-piece band and a chorus of singers sometimes appear in the landscape, symbolizing an inner music or source of guidance and encouragement that only she can see and hear. Although the film addresses a very serious threat and is filled with action and chase scenes, it also has a lot of heart. It even moments of humor. A hapless bystander, for example, keeps getting arrested in her place. Love and help arrive from unexpected sources. The future is symbolized by an orphan girl in a flooding city. It has long been Hella’s dream to be a mother. Suddenly this becomes possible, but how can motherhood be compatible with her dangerous mission? Police forces are coming closer and closer to tracking her. But something miraculous happens: the hearts of others are moved by Hella’s sacrifices. The spiritual dimension of Hella’s mission is an undercurrent of the film. There are some powerful shots of her practicing Tai Chi. In her living room, behind her, hang large photos of Mahatma Gandhi and Nelson Mandela. These heroes back her up as she breathes deeply and finds the center of inner power that enables her to put the fate of the world above her private interests. Her Tai Chi practice looks even more powerful when she does it outdoors. The land itself is a force. Several times, while running for safety and after arrest, we see Hella lying face down on the tundra, finding support. On another occasion, when she is in danger of freezing to death after crossing an icy river, a friend carries her to a hot springs. There she floats on the water, facing the sky. The camera pulls back and we see her embedded in the landscape. It is clear that she has unexpected allies, not only in certain people, but in nature itself. Fighting for Life on this Planet: What helps you face the reality of climate change and our society’s role in causing it? Our Life is Love: the Quaker Spiritual Journey, by Marcelle Martin, is available from Inner Light Books in hardback, paperback, and ebook. (An excerpt and a study guide are also available HERE.) The book was designed to be a resource for both individuals and groups to explore their spiritual experiences. It describes the journey of faithfulness that leads people to actively engage in God’s work of making this world a better place for all. To order multiple books for a study group, postage free, contact us. At age eighteen she opened a restaurant, but a serious car accident three years later changed Julia Butterfly Hill forever. She needed to find a deeper purpose in life than running a successful business. 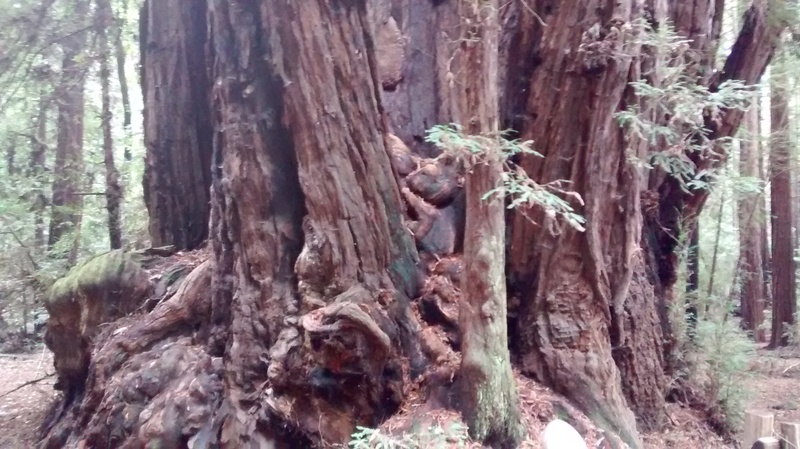 She traveled to California and encountered a forest of giant redwoods, some of them a thousand years old, or maybe older. Among those ancient trees, she felt a powerful sense of aliveness she had never experienced before. She sensed something calling to her. When she learned that the redwoods were being clear-cut by a lumber company, she prayed for guidance about how to help save the forests. In mid November 1997, she contacted environmental activists, who told her that their base camp was closing for the winter, and that she wasn’t needed. She went to the camp anyway and eagerly volunteered to do a tree sit for five days. That’s when she first met Luna, a towering, thousand-year-old redwood tree slated to be cut down soon by the Pacific Lumber Company/Maxxam Corporation. Although the logging company was engaging in environmentally dangerous practices, legal efforts to stop them had failed. So environmentalists willing to commit civil disobedience had built platforms high in certain old trees and were maintaining a human presence on them, in an effort to prevent their destruction. A small platform had been built near the top of Luna’s 180-foot height. So Hill slogged up a muddy ridge in the rain to get to the tree. Using ropes and a harness patched with duct tape, she ascended to the top, terrified. It was a challenging ordeal to share the 6′ by 6′ platform with two others for five rainy, windy days, and she was eager to get to a warm shower and a real bed when she came down. Soon after her first sit in the tree, however, Hill returned for another five-day stint. Next, as the winter weather got worse and volunteers were harder to find, she offered to stay in the tree for three weeks or a month. She was committed to doing whatever she could to save the life of Luna. She didn’t come down again for two years. Two fiercely cold and windy winters damaged her health, but the intense harassment she experienced from loggers and the lumber company was worse. One day a helicopter, deliberately being flown dangerously close, threatened to knocked her out of the tree. For several weeks men and dogs guarded Luna around the clock to prevent her fellow activists from getting necessary supplies up to her. Although her courageous companions found a way to get through the blockade, after the first ninety days in Luna, Hill did not feel she could endure much more. A fellow activist climbed the tree to encourage her to stay for a record-breaking hundred days. When receiving conflicting advice about when to descend from the tree, Hill turned to prayer to find her inward guidance. In spite of many frightening moments, Hill persisted, hearing a call to give everything she had to protect Luna. She passed her record-breaking hundred days and felt guided to stay on, persisting even when she feared the winds of El Niño would sweep her to the ground, even when her toes turned purple and then black. She learned to relax and bend like the trees during the fierce winds. Her feet healed, but the dangers she faced were real. A man maintaining a tree-sit in a nearby tree fell and broke his pelvis. One day a logger, enraged by the presence of protesters in the woods, felled two giant trees in rapid succession in their direction. The second tree crushed a young man to death. No charges were brought against the logger. Eventually Julia Butterfly Hill became a media celebrity. Her solar-powered cell phone enabled her to be a regular guest on radio talk shows. Some famous people, including Bonnie Raitt and Joan Baez, climbed the tree to talk with her. Striking steelworkers, fighting against unfair labor practices by another company owned by Maxxam Corporation, found her tree-sit to be a source of inspiration. A leader of the United Steelworkers of America made a trip up Luna to thank her. On radio shows, Hill talked about life in the tree, advocated for the protection of old-growth forests, and gave information about the destructive and sometimes illegal logging practices she witnessed. Using junk bonds, the Maxxum Corporation had taken over Pacific Lumber, an old company which had previously practiced more sustainable forestry. Now Charles Hurwitz, the owner of Maxxam Corporation, was trying to get as much quick cash from the forest as possible, without concern for the future. Hill worked to develop personal human relationships with those who insulted, harassed, or threatened her. One day she lowered a baggie containing a photograph of herself to some loggers below. When they saw that she was a beautiful young woman, their attitude toward her changed. Before she agreed to come down from Luna, Hill negotiated for more than half a year with the president of Pacific Lumber, with whom she maintained a cordial relationship. The environmental group Earth First! built the platform on Luna and began the tree sit. During the early months of Hill’s residency in Luna, a twenty-minute video, “LUNA The Stafford Giant TREE SIT,“ was made that showed the destruction of the redwood trees and featured Hill speaking from the platform on Luna.. Earth First! 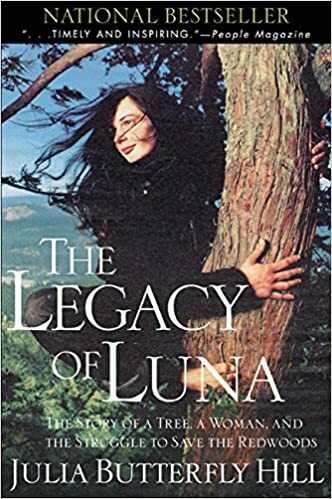 and a team of human helpers with activist names–such as Shakespeare, Geronimo, Spruce, Seppo, and Owl–were indispensable to starting and maintaining the tree-sit in Luna. In her book, The Legacy of Luna, Hill acknowledges dozens of people who helped support her witness. She also pays tribute to the ancient being who was her constant companion for two years. Luna herself provided the most tangible source of support for Hill’s tree-sit. Early on, Hill learned to climb the tree without any harness or ropes. Keeping her feet bare enabled her to better sense which branches could bear her weight and which could not. She used all of her limbs to distribute her weight as she climbed. She felt that Luna was guiding her. During two critical moments, once during a terrible storm and then on the day she descended the tree, Hill sensed direct inner communication from the ancient tree. By the time her feet touch the ground again in December 1999, Hill had secured a contractual promise of protection for Luna. Her 738-day tree-sit had also brought international attention to the ongoing destruction of ancient redwood forests on the Pacific coast. Since then Julia Butterfly Hill has continued to work as an environmental activist and motivational speaker, teaching about spiritually-based activism. In 2002, she was arrested in Ecuador for protesting a proposed Occidental Petroleum oil pipeline being laid through a cloud forest in the Andes. She was sent to jail and then deported, along with other activists. That year Sounds True made a recording of Hill on a CD collection entitled Spiritual Activation: Why Each of Us Does Make the Difference. Meanwhile, both in court and in the trees, Earth First! and associated organizations are still fighting the ongoing unsustainable clear-cutting of forests that contain large, old trees. Early in the efforts to save Luna, a solar-powered light was placed on her crown, to signal from a distance that the ancient redwood was still standing. It was called the Beacon of Hope. The first time Hill struggled to slog up a muddy ridge toward Luna, the light from that beacon helped her to keep climbing. Today, the witness of Julia Butterfly Hill serves as a beacon of hope to others. When people–both young and old–discover that something is more important than worldly success and respond to the call of their souls, then a hopeful future is possible. Our Life is Love: the Quaker Spiritual Journey, by Marcelle Martin, is available from Inner Light Books in hardback, paperback, and ebook. (An excerpt and a study guide are also available on that website.) The book was designed to be a resource for both individuals and groups to explore their spiritual experiences. It describes the journey of faithfulness that leads people to actively engage in God’s work of making this world a better place for all. An information webinar is scheduled for the evening of January 22nd. For more information click HERE. We are all meant to be mothers of God. What good is it to me if this eternal birth of the Divine Son takes place unceasingly, but does not take place within myself? And what good is it to me if Mary is full of grace, but I am not also full of grace? What good is it to me for the Creator to give birth to his Son if I do not also give birth to him in my time and culture? This, then, is the fullness of time: when the Son of God is begotten in us. There words strike me as true, but they are always a challenge. I believe that Jesus was born in human flesh not in order to be adored and worshipped, but in order to reveal how divinity wants to incarnate in and as human beings. We are all called to give birth to the fullness of the Light of God–Christ–in us. We are meant to grow into our birthright as sons and daughters of God, revealing the image and likeness of the Creator in us. Jesus came to show us how to do that. As his life revealed, it’s not an easy path. For him and for all who feel called to follow the Way he lighted for us, it involves relinquishing our own plans for our lives and surrendering to God’s plan, God’s purposes. The first Quakers, in the 17th century, knew themselves to be called to give birth to Christ within. Collectively they did so in a manner that is still reverberating with Divine Truth and Love in our time. Now, in our day, in contemporary culture, all are called to do so in ways that will affect the possibilities for humanity’s future on Earth. Tonight, on the Eve of another Christmas (by the liturgical calendar), I am praying that we are all able to fully receive that divine Light that wants to incarnate in us, the Light of Christ that wants to manifest the healing, saving power of God among us. Giving Birth to Christ in Our Time: How is the divine Light seeking to be born in you? What are you being asked to relinquish, and what are you being asked to welcome and become, in order that God’s loving purposes can be fulfilled in you? Lyndon Back’s life was happily settled. But everything changed in 1993, when a beautiful old bridge collapsed. Until then, the war in Bosnia had been a distant event seen on the nightly news. After she watched the Stari Most Bridge shatter, she suddenly needed to understand why local people destroyed something that had connected Christian and Muslim neighbors for more than four hundred years. Experiencing what Quakers call a concern, she began to care deeply about a particular situation. Lyn learned about the civil war in Yugoslavia and joined a local group of people disturbed about reports of genocide. Her children were grown and she lived alone, but Lyn’s life was full and busy. As a fundraiser for the American Friends Service Committee, she traveled frequently. When the Community of Bosnia Foundation brought over Bosnian Muslim high school students whose lives were in danger, Lyn financially sponsored one to attend a nearby Quaker boarding school. When it turned out that the girl was not happy with her host family, Lyn followed an impulse that melted her heart and agreed to take her in for the weekends. Not only that, she also welcomed another student, a Bosnian Serb (an Orthodox Christian). The two girls had become close friends. Lyn worried about opening her heart to young people whose families were living through a terrible war, but her life was happily enlivened by the presence of these engaging teenagers. They taught her about their beautiful, divided country and made her see the USA in new ways. The war ended and the former Yugoslavia divided into smaller countries. As graduation neared, the families of both girls invited Lyn to visit. Though she hadn’t imagined visiting a place where she didn’t know the language, Lyn began to sense a leading of the Spirit. She asked her Quaker Meeting for a clearness committee, and four people volunteered to serve. This group met with her several times. By asking questions and listening to the answers that came from deep inside her, they helped her discern first that she was truly being led by the Spirit, and next how to follow the leading. They called her trip a “ministry of witness.” Her intention was to listen and learn. Eligible for a three-month sabbatical from her job, she left home with a list of contacts and very few specific plans, open to how the Spirit would direct her day by day as she traveled. Lyn’s Quaker Meeting approved a Travel Letter for her to take with her; it described the spiritual basis of her journey and the support of her Quaker community. Because the members of the clearness committee wanted to continue accompanying her in spiritual ways, they prayed with her (long distance) at the same time every morning. During periods of stress and confusion during her travels, the morning times of meditation and prayer helped Lyn connect again and again with the spiritual source of her leading. While visiting the family of the student from Belgrade (Serbia), she learned about the complicated political and social situation of the Serbs, which they felt was misunderstood in the USA. She met the U.S. acting Ambassador in Serbia and his wife, both of them Quakers and spent an afternoon with them. They told her how families of mixed identity were not welcome anywhere now that the former Yugoslavia was strictly divided along ethnic and religious lines. They also described tensions in the city of Kosovo. 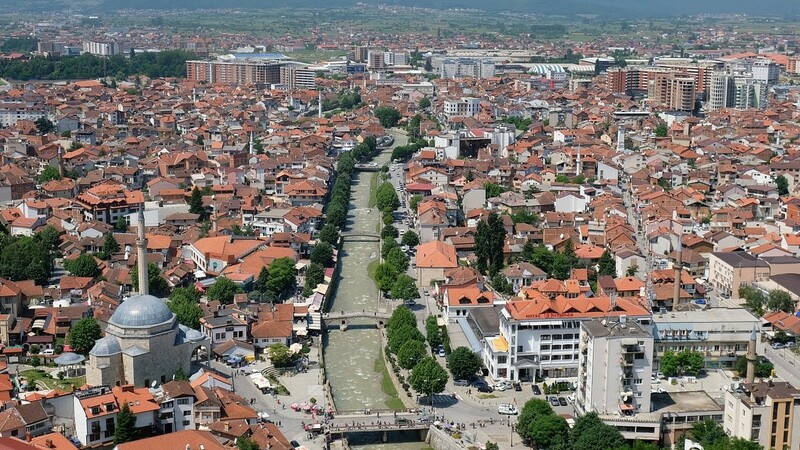 Eventually Lyn arrived in Tuzla, a city in the new country of Bosnia and Herzegovina, where she visited the Muslim girl’s family in their small apartment. The parents explained how they had managed to survive after losing their jobs during the war. Traveling mostly by bus, Lyn accepted one invitation and then another, crossing borders and meeting strangers who welcomed her. She learned more about the horrors of war and the complexities of the post-war situation. Finally she found herself visiting a family who had been kicked out of their own house and excluded from their country because of their mixed marriage (Muslim and Christian). They were living as refugees, on the edge of extreme poverty, with uncertain prospects, supported only by a teenage son who was working as a waiter in the Shark Cafe. At any time, he could be denied permission to work. Lyn soon realized that meeting this family had been orchestrated by grace. Because of what had seemed a chance meeting earlier, she was able to connect them with a person who could help. Lyn went home grateful to have been used by God in some way. Home no longer seemed the same after her travels, however. Something felt different inside. A voice in a dream instructed her to tell her boss that she needed to return to Tuzla. When she called together her clearness committee again, they sensed that more would emerge in time. They felt led to accompany her as her leading unfolded. 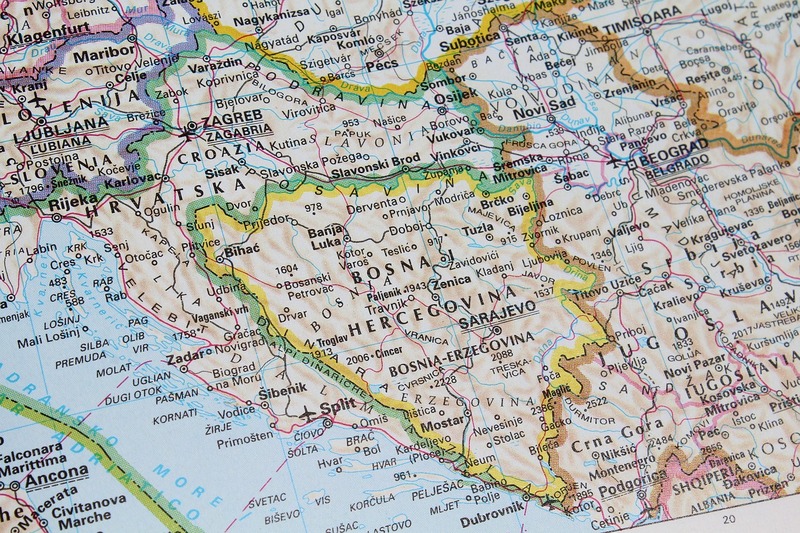 Eventually Lyn applied to volunteer with the Balkan Peace Teams, an international group working to promote local peace efforts in Bosnia, Serbia, and Croatia. She was chosen for a three-person team operating out of Belgrade. She quit her long-time job. Her adult children were not happy about the risks she was taking, but, as she writes in her memoir, “I knew that I had to trust in my heart’s deep calling and take a leap of faith, even if it meant landing in a war zone.” Her Quaker meeting helped her with transportation expenses. In her recently published memoir, Treading Water at the Shark Cafe, Lyn describes supporting young peace activists from both sides of the conflict who were working to avert war in Kosovo. The Balkans Peace Teams assisted brave efforts by young people to bridge the growing divides. Then those peace efforts were smashed by the NATO bombing of Kosovo. Lyn witnessed how that bombing, though motivated by a desire to stop genocide, led to terrible destruction, social chaos, deaths, and the unleashing of increased levels of ethnic violence, previously restrained by fear of international reprisal. Many Albanians from Kosovo were temporarily forced into exile as refugees. She and her fellow Peace Team members went on a speaking tour to give an inside view of what was happening. After the bombing, they worked to reconstruct the web of displaced young activists and peace workers who had been scattered, imprisoned, or sent into exile. Lyn saw brave humanitarian efforts to help the refugees and was able to assist a few people in difficult situations. She saw how small efforts can make a big difference, but she also how people can be drawn in by destructive forces. Her story is a witness to the terrible effects of violence, even that done in hopes of preventing further evils. It is also a witness to the way that God can work in people’s lives. It leaves the reader with awe at how the Spirit comes alive again and again in those who have hope for a better future and are willing to take the risk to follow the heart’s leading to help others. Lyn’s unfolding leading has continued with the writing of her memoir, in which she shares what she witnessed and how she was changed. Recently she came to speak at my Quaker Meeting. I also heard her give a talk at Pendle Hill Conference Center. She’s an engaging and thought-provoking speaker. A Leading of the Spirit: Witness to Peacemaking and War: Has God placed a concern in your heart? Have you followed a leading? How did it develop over time? We had waited a long time to walk among those ancient trees. 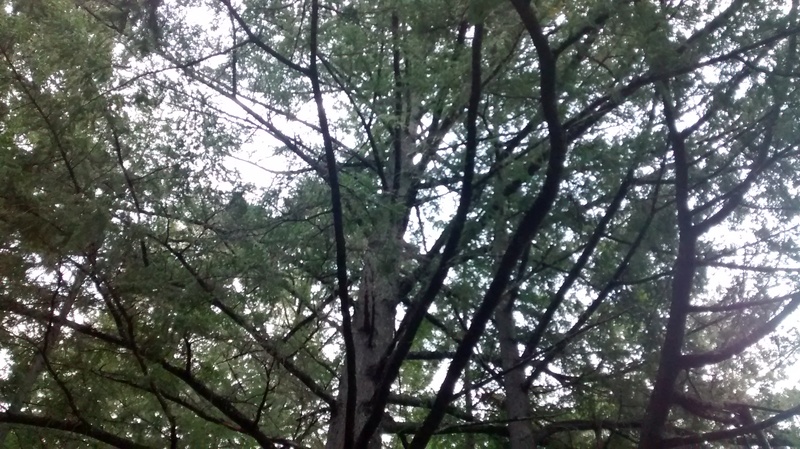 Finally we rented a cabin in Cook Forest State Park, and there we were, walking between towering pines and hemlocks. Some are as old as Quakerism, having gotten their start in the mid seventeenth-century, after a forest fire. Then centuries later, in the midst of a logging boom, three generations of the Cook family preserved what they called “The Forest Cathedral.” The tallest trees rise 160 feet or more, their canopy of green crowns higher than the naves of man-made cathedrals. My husband, Terry, and I looked up at them in astonishment. 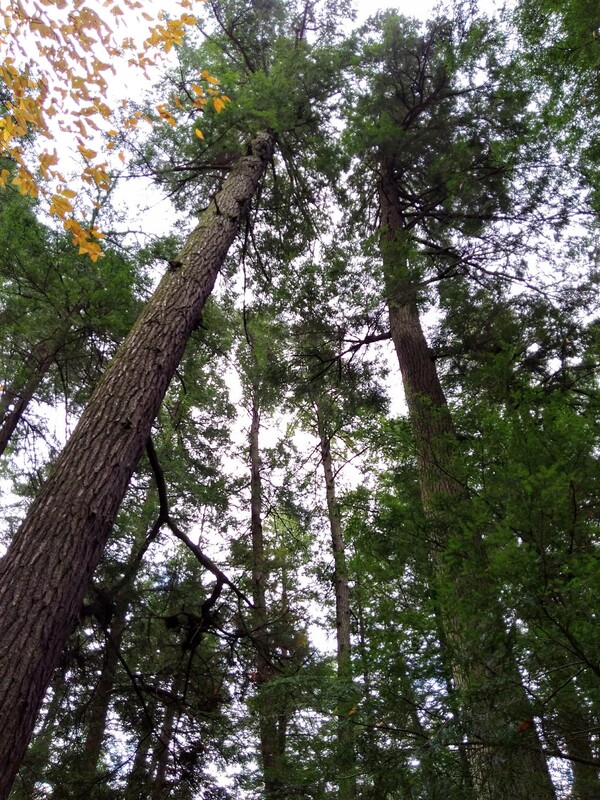 We were eager to visit Cook Forest after hearing Dr. Joan Maloof, a professor of biology and environmental studies, speak about old-growth forests, ones that have never been logged. Scientific studies show that such forests have an incredible diversity not equaled by any woodlands ever cut or managed by human beings. 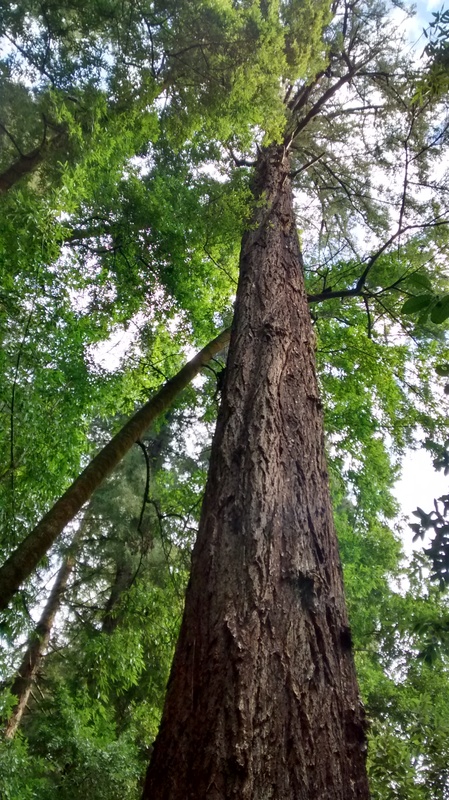 The tallest trees of various species are found in such forests, whether they be redwoods on the West Coast or tulip poplars and white pines in the East. After hearing Maloof’s talk, I was eager to read her book Nature’s Temples: The Complex World of Old-Growth Forests, in which she describes the astoundingly fertile way that trees, plants, fungi, insects, birds, humus, water, air, and sunlight interact in cycles of birth, growth, death, and mutuality in old-growth forests. She tells how the ancient trees within such forests sequester far more carbon from our atmosphere than younger trees or previously logged woods, even second growth forests that have been untouched for more than a century. At her talk, Maloof showed pictures of the devastating, rapid destruction of the ancient forests that used to cover most of North America. 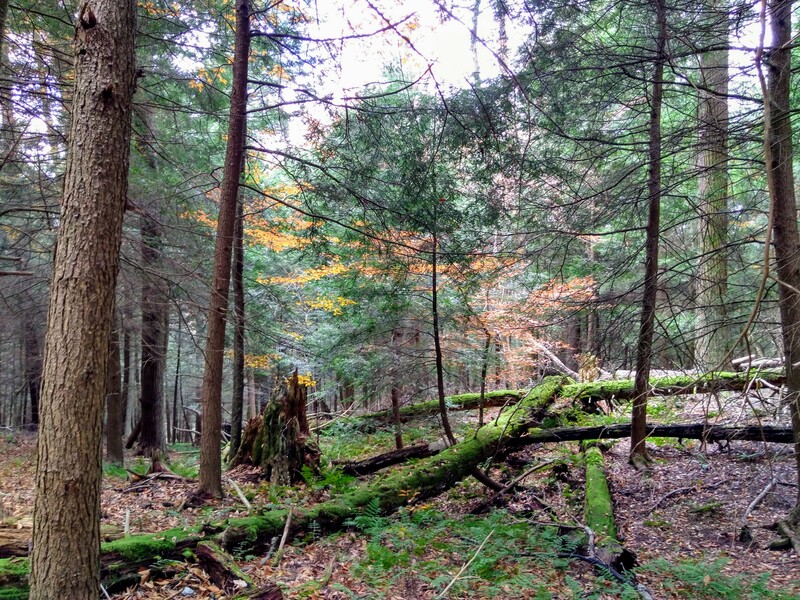 In many areas of the U.S. today, only small pockets of old-growth forest remain, much of it on land too rocky and hilly to have been profitably farmed or forested. 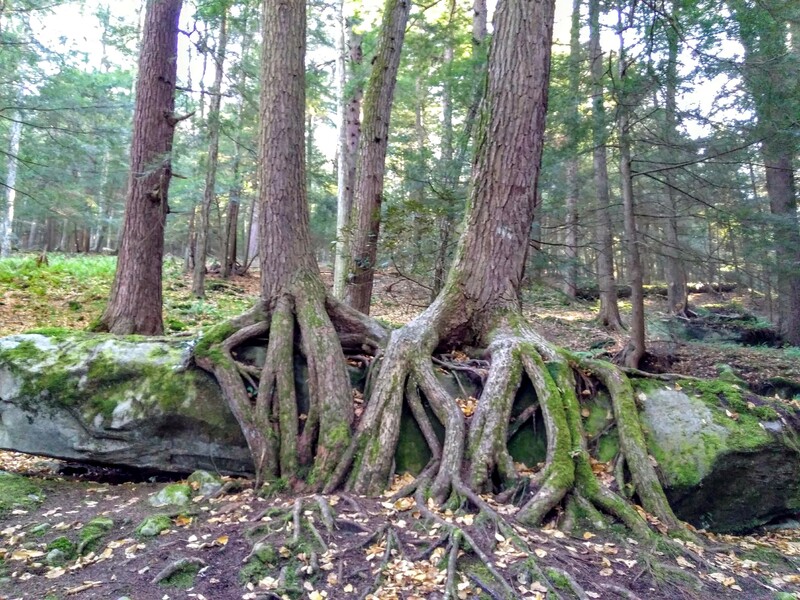 In Among the Ancients: Adventures in the Eastern Old-Growth Forests, Maloof describes visits she made to old-growth forests in each of the eastern states, from Maine to Florida and from Delaware to Wisconsin and Kentucky. 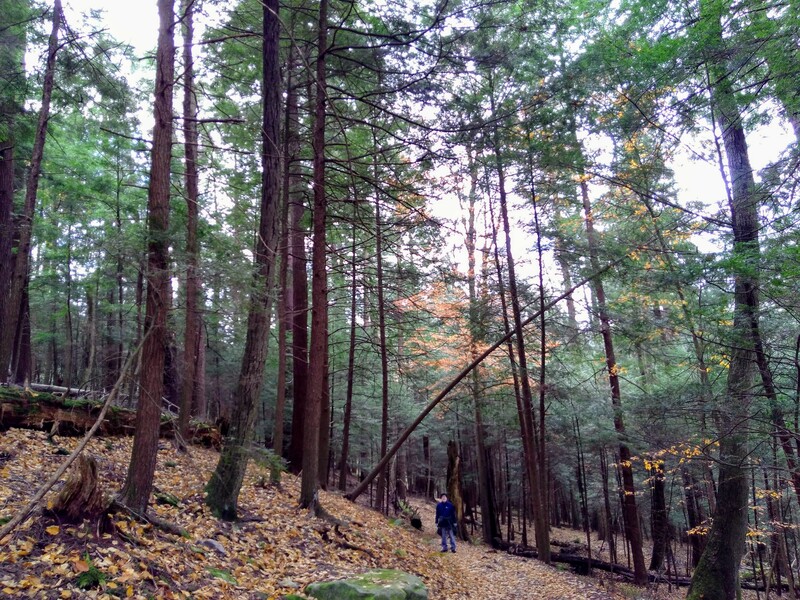 Since reading it, I have been eager to make my own visits, especially to Cook Forest in Pennsylvania, the largest old-growth forest in the eastern United States. 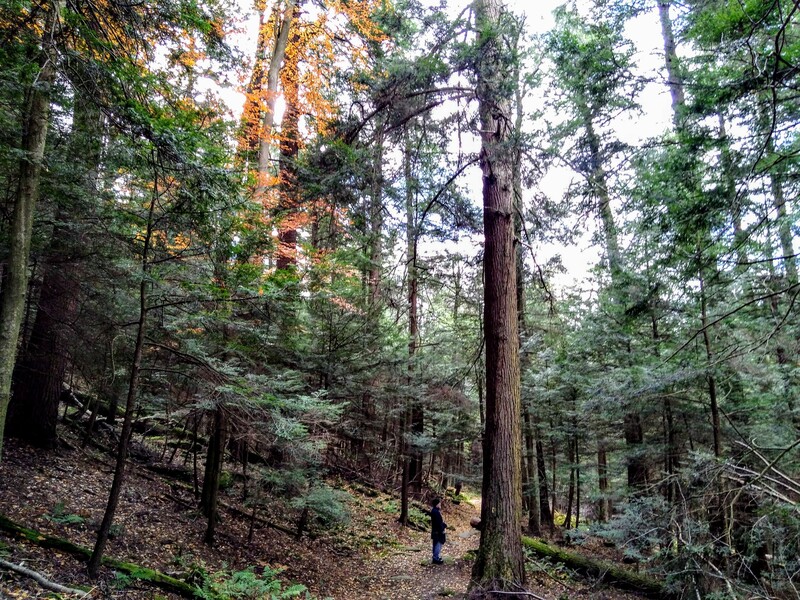 We had a beautiful day for a long walk in the woods and were awed by the tall white pines and hemlocks in the old-growth part of the forest, some of them as old as three or four hundred years. Of course, not all the trees are huge and old. Young saplings and sinewy middle-aged trees have their place, too. And all around, feeding them, are the moldering remains of huge trees that have fallen, some recently to wind and tornadoes, some a very long time ago. We were also struck by seeing trees growing out of huge rocks. It helped us understand how trees and other plants transform rock into soil over time. 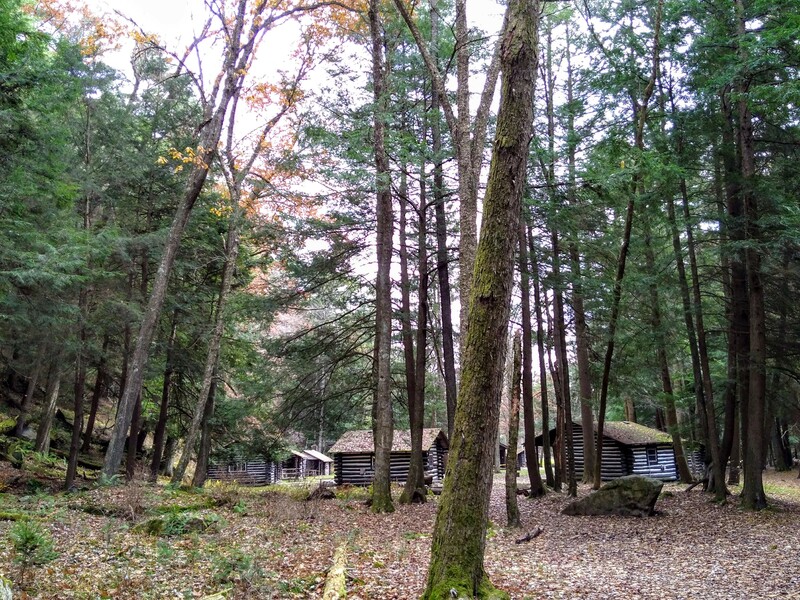 In the 19th century, the Cook family operated an extensive logging and sawmill business in the woods around what is now Cook Forest State Park. John Cook purchased hundreds of acres in 1836 and decided to preserve some sections. In 1910 Major Israel McCreight, a friend of the Lakota people in his youth, visited the forest. He was led by John Cook’s grandson, A.W. Cook, into an area called the “Forest Cathedral,” a place that sometimes moved visitors to tears. Deeply affected by the grandeur of the forest, McCreight began to lobby the State of Pennsylvania to protect it. Local folks were afraid of losing logging jobs; while others correctly argued that the resulting tourism would compensate for that loss. It required sixteen years of lobbying and fund-raising before Cook Forest was established as a national landmark and state park. Many hundreds of acres remain that have never been cut. Other areas, now untouched for more than a century, are slowly regaining some of the distinctive characteristics of old-growth forest. The cabin where we stayed while we were in Cook Forest was built in the 1930s by the Civilian Conservation Corps (CCC). At that time, the great chestnut trees that had flourished in the eastern states were dying of blight, so chestnut logs were used to construct the cabins. 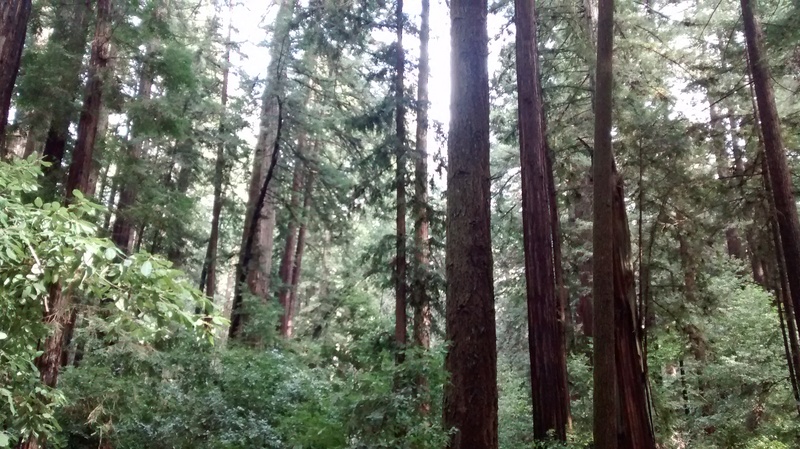 Like an earlier visit I had made to an old-growth forest of towering Redwoods in California, walking in Cook State Forest was an awe-inspiring experience. During the short time we were there, we just began to slow down enough to truly savor the experience of a primeval forest. It was enough time, however, to see more clearly how human beings in Western culture are dangerously cut off from the natural world which is our home. We live almost entirely in man-made environments. Even our rural fields are lands shorn by men, and our local parks are highly managed. The disconnect affects us on all levels, far more than we know: physically, energetically, emotionally, and spiritually. For generations we have largely separated ourselves from wild places and the real requirements of sustainable living on planet Earth. Our misuse of resources has created catastrophic changes to our ecology and climate, whose effects we are seeing in rising temperatures, melting ice caps, more destructive wildfires, stronger hurricanes, and many other disasters. What could cause people to understand and care enough to change our consumption patterns and stop our misuse of resources? What will motivate us to halt the rate of climate change and preserve a future for our species? How will we discover our true place in the natural world? In one of her books, Joan Maloof quotes an ecologist who advised her, “Spend as much time as you can in the wildest places you can find.” We all need ways to reconnect with the natural world. However, as important as it is to connect with wild places outdoors, doing so will not be sufficient to mitigate or reverse climate change if we do not also reconnect with the untamed wholeness of our being and the deepest spiritual level from which life springs. Over the years, during moments of great stillness in morning meeting for worship at Pendle Hill Retreat Center, I have sometimes had an inner impression of being in a primeval forest. To the core of my being, I felt surrounded, supported and sustained, inwardly connected to the source of life itself. Deep interior silence was accompanied by a feeling of holy power and great fertility, of unlimited possibilities. Long ago the ground on which Pendle Hill stands was unspoiled forest, inhabited by Lenni Lenape tribes who recognized the sacredness of the land. But what I sensed in those meetings for worship existed prior to human beings, and even prior to the physical world. 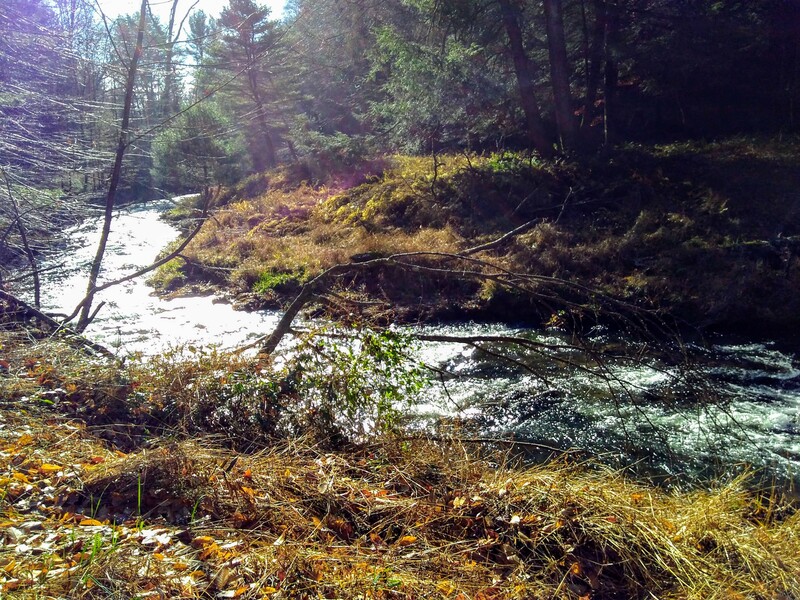 My experience contained more than a message about reconnecting with the natural world. The impression of a holy, original forest was a metaphor for the Ground of Being, the fertile matrix of all life that we call God. I was being opened to a pure state of consciousness, undisturbed by fear, greed, alienation, or attachment. Recalling that experience helps me connect to a sacred state of oneness, with God and with all things, a state that contains unlimited potential. I believe that spending time both in nature and in deep worship helps us reconnect with the Ground of Being. Great, fertile healing power is available to us if we learn to be gathered together in that state of awareness. Only a conscious, collective connection with the reality we call God can help us face our future with a hope founded in reality. Our Life is Love: the Quaker Spiritual Journey, by Marcelle Martin, is available from Inner Light Books in hardback, paperback, and ebook. (An excerpt and a study guide are also available on that website.) 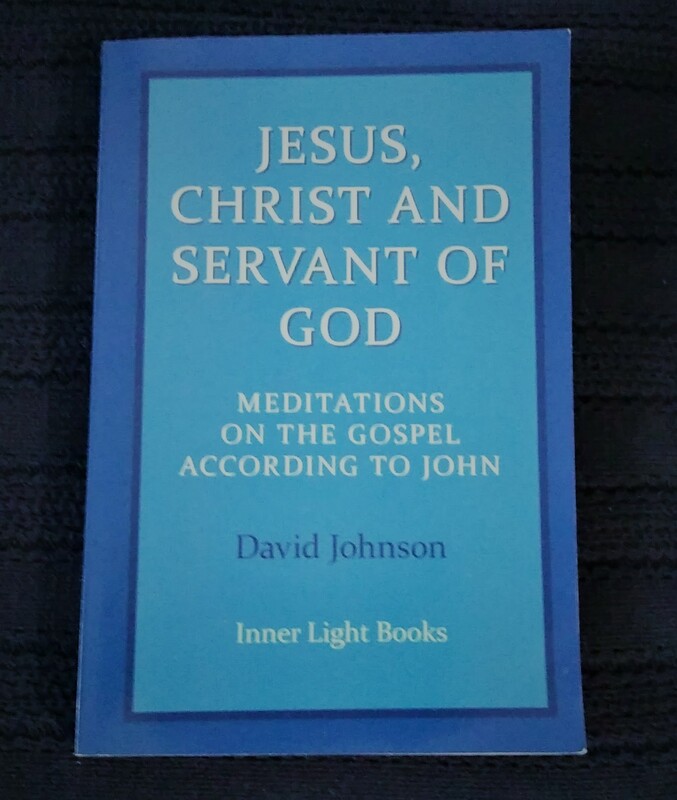 The book was designed to be a resource for both individuals and groups to explore their own experiences of ten elements of the spiritual journey, as experienced by the first Quakers in the seventeenth century and by Friends in our time, a journey that leads deeply inward to a direct connection with God and then outward to lives of faithfulness. I‘ve read many of the best novels ever written. 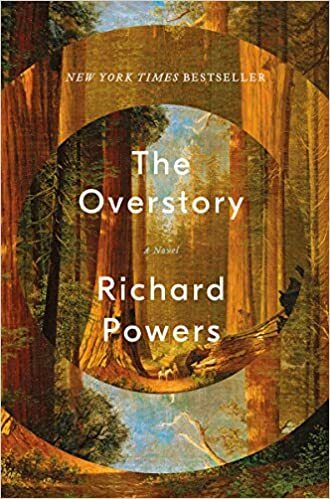 The Overstory, by Richard Powers, may be the most eye-opening of all. In the first section of the book, in eight short stories, Powers creates diverse, interesting characters who are all impacted by encounters with trees. A banyan tree saves a soldier who falls out of a burning helicopter; a woman wraps her car around a linden while reading a love letter; a boy who loves computers falls from an oak tree and cracks his spine. When a beautiful but self-destructive young woman returns to life in the midst of dying, she is changed into someone with a mission, a Joan of Arc whom others are eager to follow. It turns out that the trees have been mysteriously drawing these people into startling actions and commitments. By the middle of the book, three of them are camped on a ledge built high in a huge, ancient redwood tree slated to be cut down for timber. The quirky, wonderful characters and the intricate plot draw us in, but the art is all in service to a much larger Story. The book continuously serves interesting, cutting-edge facts about trees and the ecology of the earth. It paints a picture of a natural world which is startlingly alive. Though a gradual weaving of story and scientific information, we learn that if human beings want to have a future on this planet, we need to keep our remaining old growth forests alive. Large old trees sequester huge amounts of carbon in their bodies. When they are cut down, they not only stop absorbing greenhouse gases, they release what they have stored. 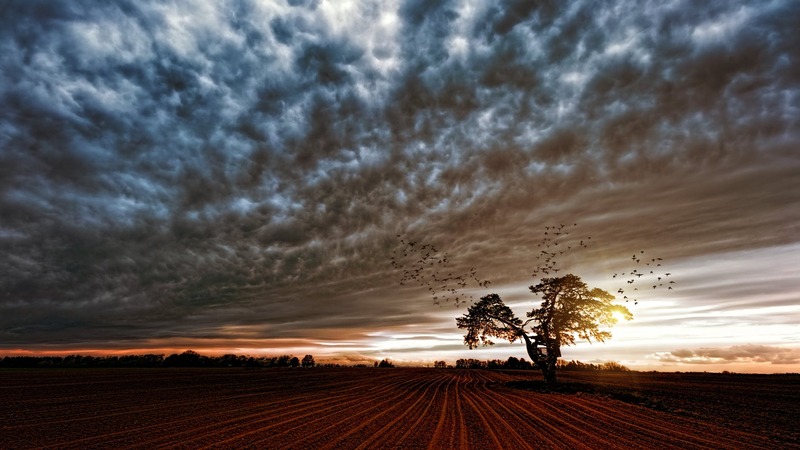 The more large trees are cut, the faster climate change accelerates. In addition, after a forest is decimated, planting new trees does not restore the intricate ecology upon which so many different species and life-giving processes depend. It is suicidal for the human race to choose short term timber profits over the crucial benefits of keeping our old trees alive and our forests intact. This knowledge motivates some of the characters to engage in radical protest against cutting down old forests. When their nonviolent actions are met with futility and police brutality, some engage in protests that involve significant property damage. The consequences alter their lives forever. Other characters choose different paths—studying trees and saving seeds, letting their yards grow wild, creating virtual realities. Richard Powers may be the best novelist I’ve never heard of before. One of his novels won the National Book Award and was a finalist for the Pulitzer Prize. Literary critics note that he is skillful in all the elements that make for good novels: plot, characters, and use of language. He includes scientific information in a poetic way, gently opening the reader to a new understanding of the awesome nature of trees. But The Overstory is more than a compelling, informative novel. Like gorgeous spring blossoms, the characters‘ stories entice us, but their ultimate purpose is not entertainment, or even information, but a transformation of awareness. They draw our attention to a view of our earthly reality that we desperately need to see: the self-destructive nature of our consumer way of life. For the sake of temporary conveniences and sterile comforts, we are rapidly, recklessly destroying vital necessities upon which human existence depends. By the end of the novel, we can see how saving our remaining forests is an urgent pro-life issue for our whole species, and many other species, as well. Several wonderful love stories tug at readers’ hearts. Although the characters do not engage in organized religion, the book is also deeply spiritual, showing what can happen when people awaken to their place in a profoundly sacred world. We watch the gradual transformation that occurs when self-centeredness is replaced by purpose, and how the vitality that springs up when people begin living for the sake of something larger and more whole than themselves alone. The book provokes the reader to consider the nature of life, death, healing, and enlightenment. In the same week that a report recently released by the UN Intergovernmental Panel on Climate Change, concluded that governments around the world must undertake “rapid, far-reaching and unprecedented changes in all aspects of society” in order to avoid catastrophic levels of global warming, some members of Congress are actively working to cut down more ancient trees in our largest remaining old growth forest. Senator Lisa Murkowski and others are trying to reverse earlier legislation in order to permit new roads and more old-growth logging in the Tongass National Forest, the largest national forest in the USA. For more information, see a brief summary on the Alaska Wilderness League’s blog or read a Guardian article subtitled: “Tongass is the world’s largest intact temperate rainforest, with trees more than 1,000 years old. But a pro-logging effort could uproot them.” It details the climate change dangers of increasing the amount of old growth logging in contrast to the very short-term benefits that would be gained from cutting trees hundreds of years old, all for the sake of preserving jobs at a lumber mill whose saws are only sized for huge trunks. Twenty-one young people have sued the U.S. government and the current administration to advocate for their constitutional right to a safe future. Their case, Juliana v U.S., alleges that the U.S. government has knowingly contributed to climate change for fifty years. The trial will begin on October 29th in Oregon, and rallies all over the country are being organized for October 28 and 29th. It’s being called the Trial of the Century.